McPhee was on with McCown and was also asked what was plaguing his team this season. His answer, without hesitation, was consistency. However, the most disturbing part of the entire interview (which can be found at the bottom of this article) was McPhee’s use of the words “not deep enough,” in describing his roster. He used them twice while answering the same question about the team’s injury situation. It’s a scary thing to hear, especially with the expectation that neither Stastny nor Haula will be back in the lineup any time soon. 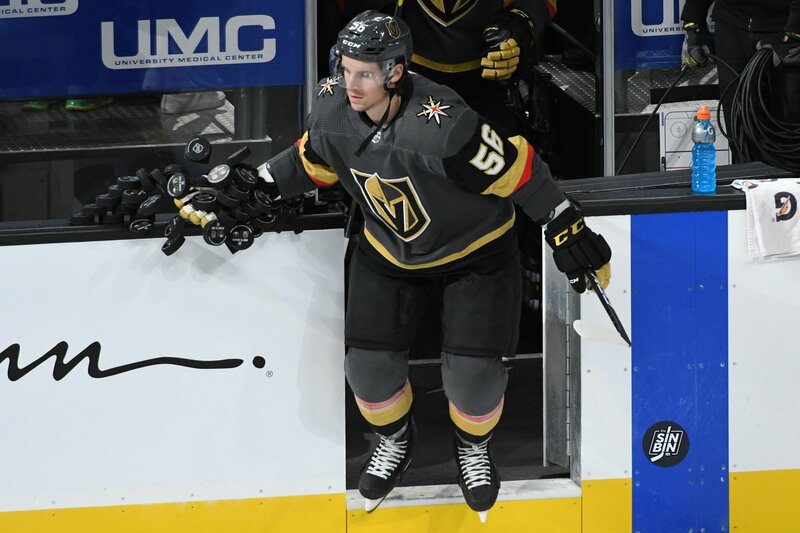 Does McPhee make a move for another skill player? Does he call up his minor league skill players like Brandon Pirri, Daniel Carr, Brooks Macek, or Erik Brannstrom? Or does he sit back and hope his team can tread water until they do indeed return to health? Those answers will come in time, but while we wait, realize that the GM believes his team, which is 7-10-1 through 18 games, is lacking skilled depth. That’s not a promising outlook for a franchise that fully expects to still make the playoffs despite a poor start. Not surprising, they are only in second year, don’t have the years to build up minor league system, so depth can be an issue. yes I agree, been saying the same thing for awhile. Takes time not only to develop depth but to develop team chemistry. Example. Washington Caps.